Crystal is a B2C content writer who helps natural health and beauty companies increase brand authority, traffic, and sales. Finding oil-free foundation is like finding a needle on the ocean floor. It’s nearly impossible to find one in the world of makeup since oil (the right kind of oil, that is) is not necessarily a bad thing. There are many health benefits for the skin in using natural oils, however, for those with acne prone skin, oil can make things worse. If you have combination skin, oily skin, acne prone skin, or all of these problems bunched up together, then you may understand the struggle in finding a foundation that doesn’t contain oils that might make your problem worse. 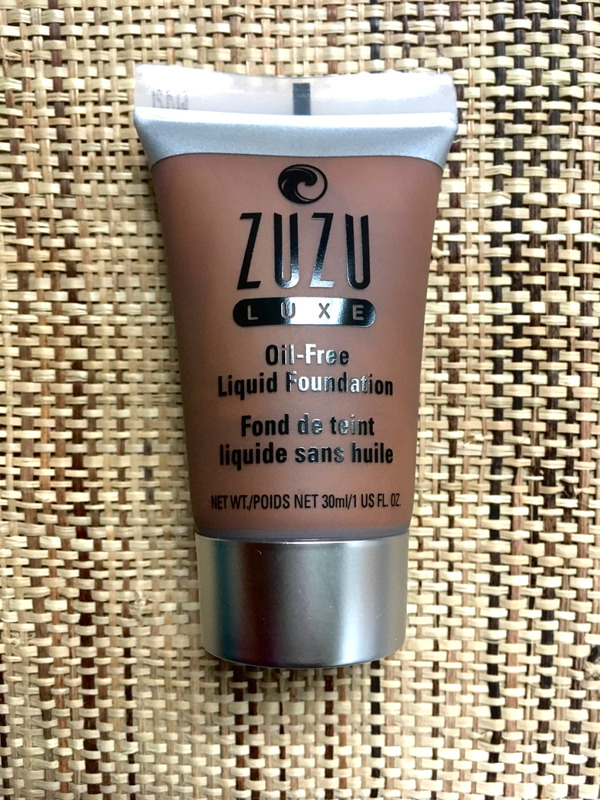 Luckily in spending a lot of time browsing the Internet, I found the foundation, Zuzu Luxe Oil-Free Liquid Foundation. Not only is this foundation oil free, but it’s free many things that people are trying to avoid. Perhaps they’ll pave the way for more to come. 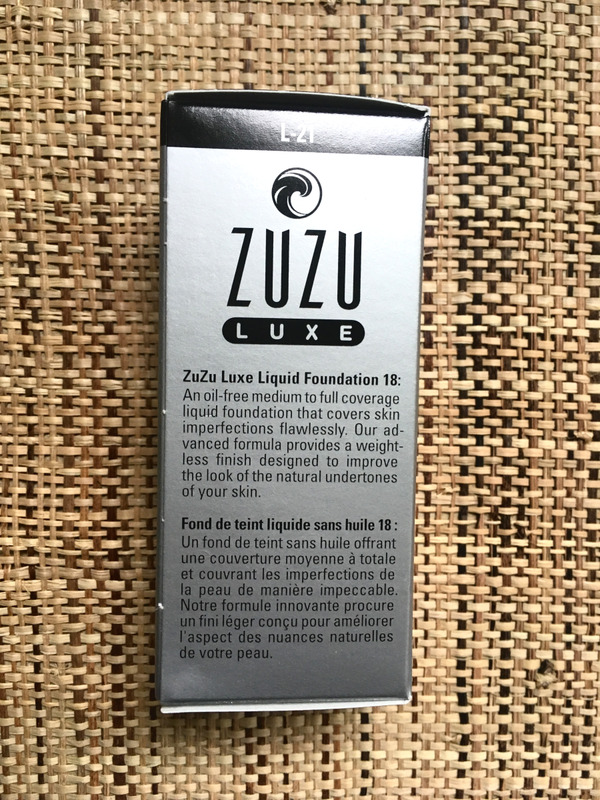 Zuzu Luxe is a sister brand of the makeup and skincare brand, Gabriel Cosmetics. Gabriel Cosmetics was established in 1995, with Zuzu Luxe being established in 2001 as a brand providing a different range of color selections. 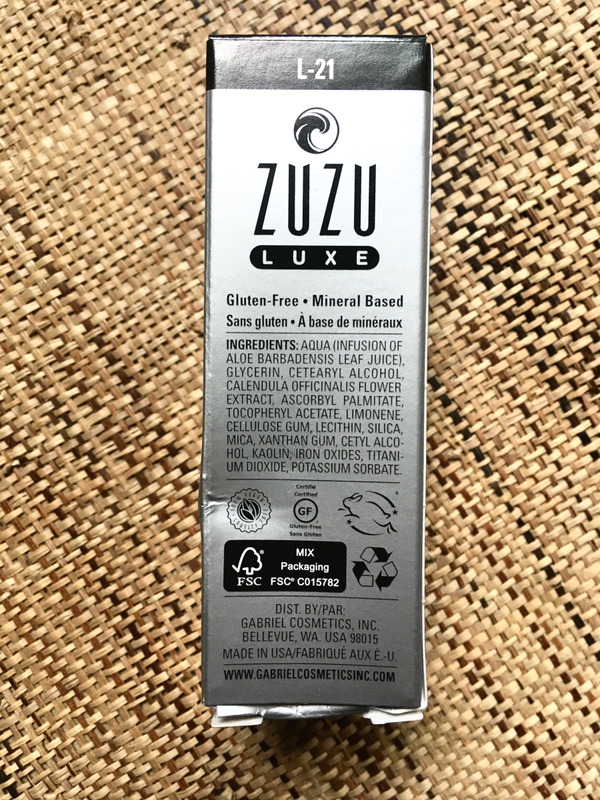 In addition to Zuzu Luxe, Clean Kids, is another sister brand associated with Gabriel Cosmetics. The passion behind this brand is creating skincare and cosmetics that are earth conscious and ethical. Every one of their products is 100% natural, gluten-free, vegan, and cruelty-free. Additionally, no synthetic chemicals are used and their makeup is non-allergenic and fragrance free, which makes them ideal for all skin types. In creating products that are eco-friendly, there’s no compromise on quality. Nothing such as aesthetics, functionality, and accessibility is lacking. This oil-free foundation is designed to create a flawless natural looking complexion. It’s perfect for that no-makeup look. What you get is a 30ml/1 fl. oz. plastic tube of liquid foundation. This is packaged in an eco-friendly paper box. The tube is relatively small, it fits in the palm of your hand. It has a hard silver plastic cap with silver lining at the top seal. The rest of the container is transparent so you can see the color of your selected shade. 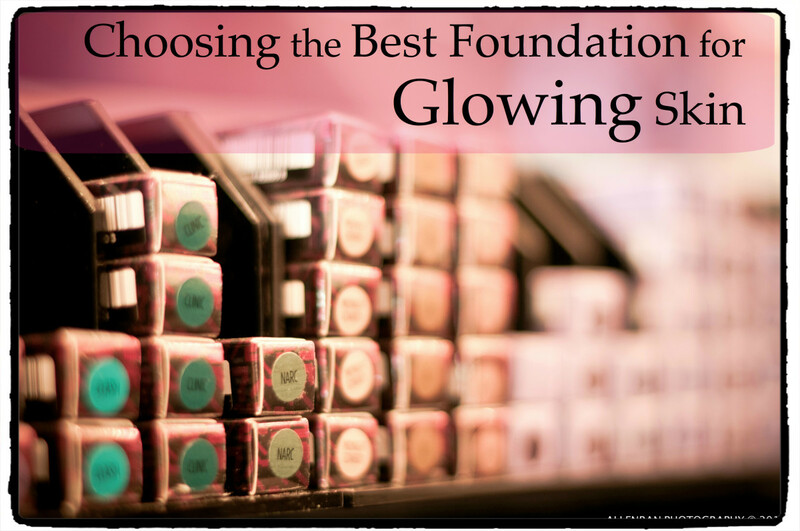 What makes this oil-free foundation excellent is that it’s all natural. For those who suffer from allergies and even those who want to reduce or eliminate as many chemicals and toxins as possible that they consume, this foundation solves the problem. The ingredients used to make this product are aqua (infused with aloe barbadensis leaf juice), glycerin, cetearyl alcohol, calendula officinalis flower extract, ascorbyl palmitate, tocopheryl acetate, limonene, cellulose gum, lecithin, silica, mica, xanthan gum, cetyl alcohol, kaolin, iron oxides, titanium dioxide, and potassium sorbate. This brand prides itself on creating makeup that’s results driven, so every product they release has been tried to prove that it can do what it’s intended to do. 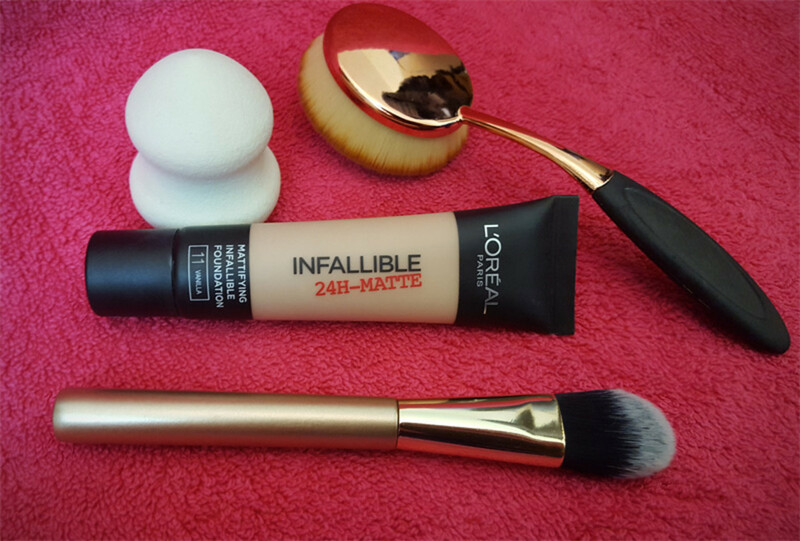 This foundation is medium to full coverage and can be applied on sheer or built up to a completely opaque look. In building it up, it doesn’t get cakey or flake away. It still maintains its natural weightless feel and appearance. Made to enhance your skin’s natural undertones, it works at covering imperfections and balancing uneven tone. With just your favorite makeup sponge or brush, a little goes a long way. It applies effortlessly on the skin and blends seamlessly. Coverage lasts all day, which is 8 hours or more. Skin doesn’t feel dry or patchy, nor does it feel oily or messy. It hydrates naturally without clogging pores. So if you struggle with acne, this is one oil-free foundation that won’t make it worse. As you work to heal your skin, you can rest easy knowing your foundation is not impeding with that. Another bonus is that it doesn’t have a scent. Unless you put the container right up to your nose, the only smell you get is the faintest clay scent. There’s nothing that’s powerful or strong. Importantly, this foundation isn’t sticky or doesn't get all over the place. It stays on the skin. 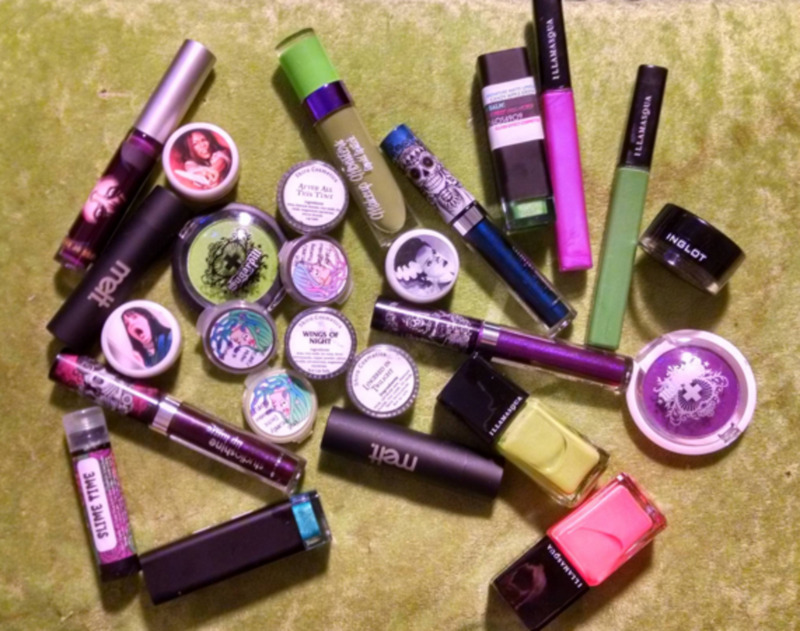 At $31.30 per tube, one can last you up to one year (mine lasted that long, using it 5 days a week on average). Just a little is needed to cover the entire face. On their website, this oil-free foundation is rated 4 out of 5 stars. The only obvious complaint is that not enough shades were made. Hopefully, that will be remedied in the future. My personal verdict is 5 out of 5 stars. Having tried a lot of foundations in the past and failing to find one that not only matches my shade but doesn’t make my skin worse and is natural plus ethical, makes this a dream. It does the job, providing full coverage that stays on until you take it off. After using it for a year, I’ve seen no negative effects on my skin. It didn’t create more acne and was easy to apply in a matter of seconds. Plus I like how it didn’t take up too much space in my caddy. It’s the perfect travel foundation. Finally, a foundation for acne prone skin that’s oil free has been found. 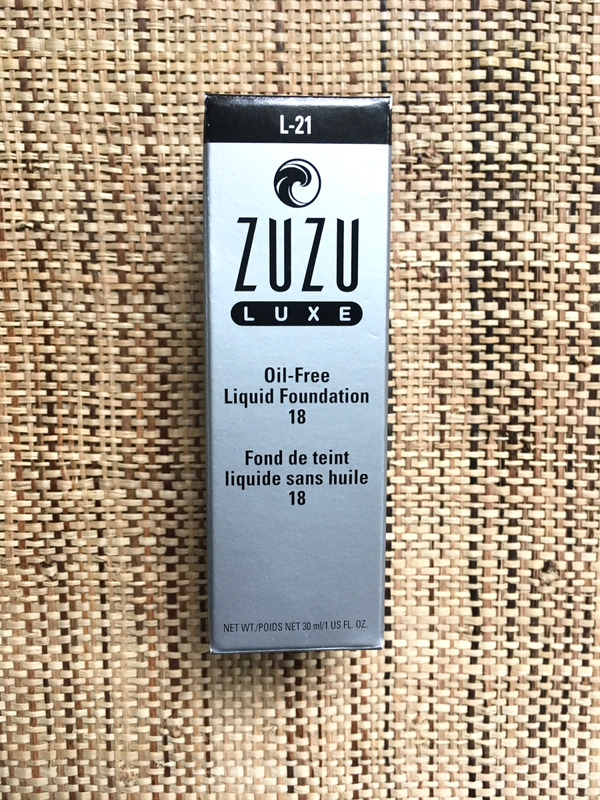 After testing this product, I conclude that Gabriel Cosmetics’ Zuzu Luxe Oil Free Liquid Foundation is a winner. Not only is this foundation effective in what it’s designed for, but it’s ethical, natural, and all around better for you. It’s also backed by a company that truly cares about the environment and people’s health, and wants people to maximize their lives while enjoying much needed and desired beauty and skincare products. If you’re one who’s concerned about how the products you use are produced and how they affect the environment and living beings, more so, if you struggle with allergies or have dietary concerns, not only do I recommend this oil-free foundation, but the products in their three lines.